Click here for the 2001 season. The view out from the entrance of Actun Tunichil Muknal. Map of Belize showing cave camps in red. Click for larger, detailed image. In caves throughout Mesoamerica, the Maya once performed rituals such as bloodletting and sacrifice to the gods. Caves played a central role in Maya religion and mythology, being seen as the homes of gods and the entrance to the underworld--places alive with spiritual power. 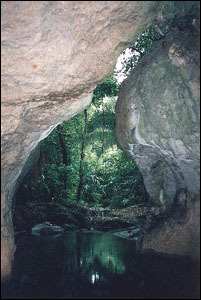 ARCHAEOLOGY followed excavations within some of these caves located in the jungle of west-central Belize, Central America, during the summer of 2000, with reports straight from the field during the investigation of elite burials, stone monuments, and art within the caves. 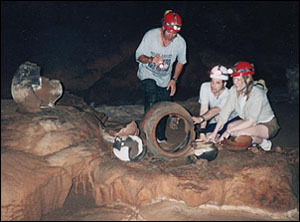 Webmaster Amélie Walker relates her experience in the caves. 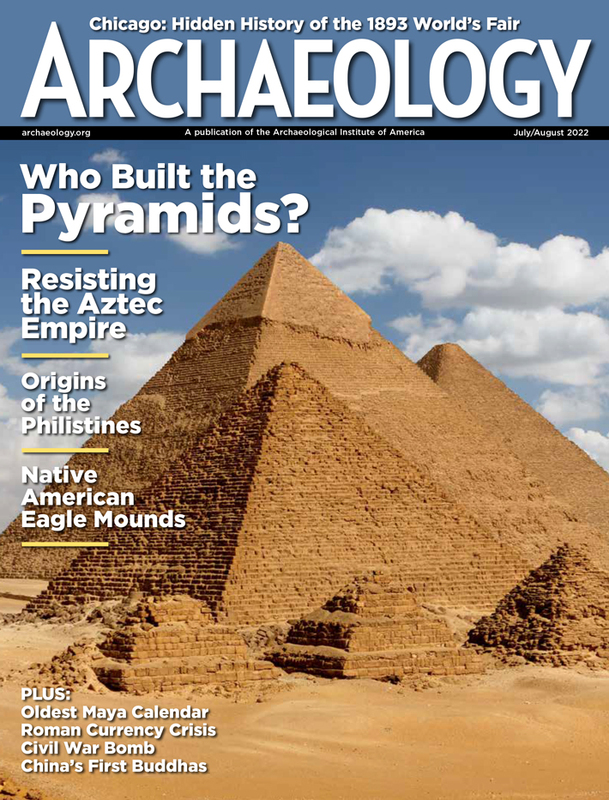 Read about excavation in the caves and other sites in the field notes. Find out what it is like to work at the sites from student journals. Learn how remote sensing can be used to locate cave entrances. 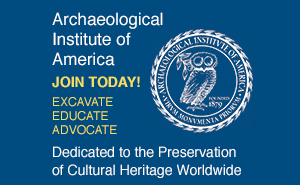 Hear from archaeologists and students who have worked in the caves! See Q&A with Staff and Students. Project archaeologist Jaime Awe and students examine large broken pottery found inside Actun Tunichil Muknal. Click here to see more of the caves. For more about the Western Belize Regional Cave Project, check out www.indiana.edu/~belize.